GREAT to be in Dublin again during the festival season. During the five-odd weeks of the Fringe and Dublin Theatre Festival in September/October, Dublin city is a magic place. An invitation to be a participant in a panel discussion, Found in Translation, had me once again strolling the streets of city centre in the early evening twilight, enjoying the atmosphere – somehow both easy-going and fizzing with excitement, as only Dublin can do. The timing was just right to see a new show by my former colleagues at Rough Magic: The Train. Just a decade after his fabulous Improbable Frequency – about a treacherous, but very improbable collusion between espionage and physics during the “Emergency” (the Irish expression for the second world war) – playwright Arthur Riordan turned his genius rhyming wit to another historical event: the Contraceptive Train. In 1971, when Irish feminists were looking for a new stunt after their headline-making protest in front of Mansion House (the residence of Dublin’s Lord Mayor), they came up with the scheme to flout the ban on birth control in Ireland by taking the train to Belfast and tooling themselves up with contraceptives. They planned to bring back the Pill, coils, diaphragms, whatever they could get their hands on, and enter the Republic, where contraception was still illegal. 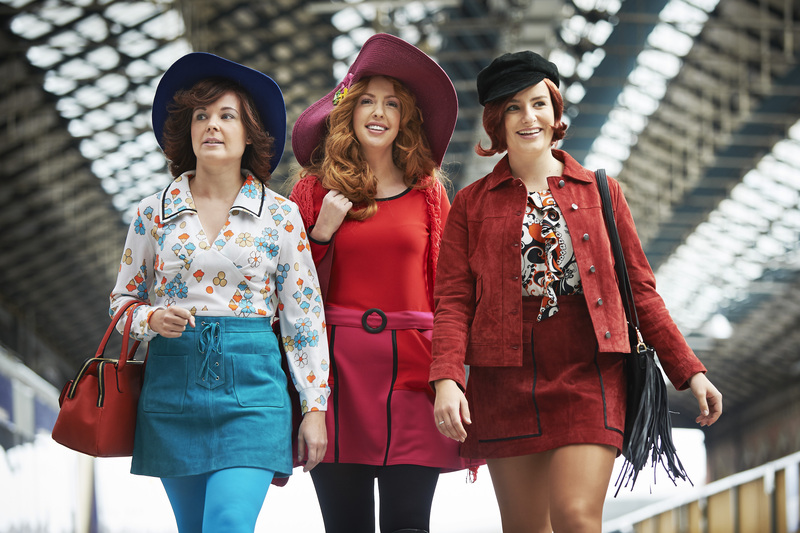 The train on 27 May 1971 carried 47 members of the Irish Women’s Liberation Movement, who arranged to meet at a certain chemists for the big purchase. Unfortunately, living in a country where contraception was illegal meant that information on contraception was also thin on the ground, and the women were dismayed to find out you needed a prescription for anything other than condoms or spermicidal jelly. Ingenuity saved the day, though. As well as the jelly, they bought aspirin, reasoning that the customs officials in Dublin’s Connolly Station would never know the difference. They thought they might well get arrested when they disembarked with their loot. Instead, hundreds of people welcomed them with placards, shouting, “Let them through! Let them through!” The women marched up defiantly with their contraband contraceptives – some swallowing their “pill”, some flaunting their jelly – and the duty officers were pink with embarrassment. It was a blow struck for women’s rights and their freedom and control over their bodies and lives. Contraceptives only became legally available in Ireland in 1980 – due in great part to barrister Mary Robinson’s strident campaign for legalisation. (In 1971, Robinson was a Senator; she became the first woman president of the Republic of Ireland in 1990, and took office as UN High Commissioner for Human Rights in 1992.) The battle still wages over abortion, with many campaigners, including Amnesty International, pushing to change the law and have it decriminalised. Thousands of women domiciled in Ireland currently travel to the UK for terminations every year rather than face a 14-year prison sentence.